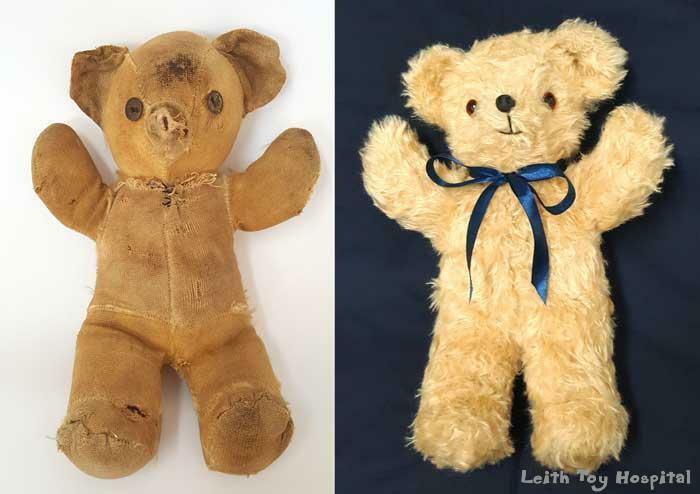 This teddy got a new nose and smile! We sometimes fix things besides teddies and dolls! 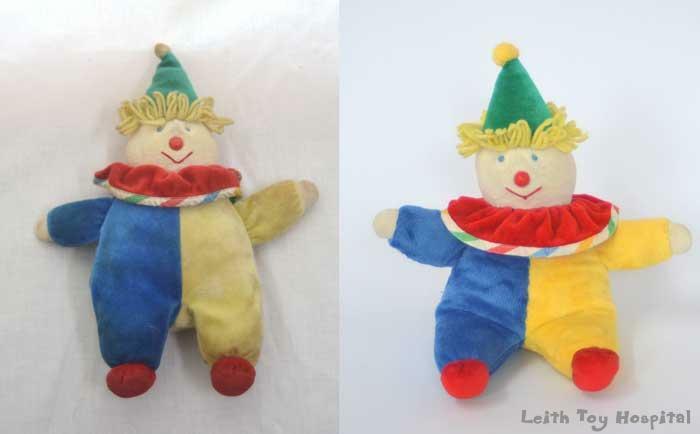 This little puppet is from 1918. Another dog injury- he’s very happy to have his nose back! 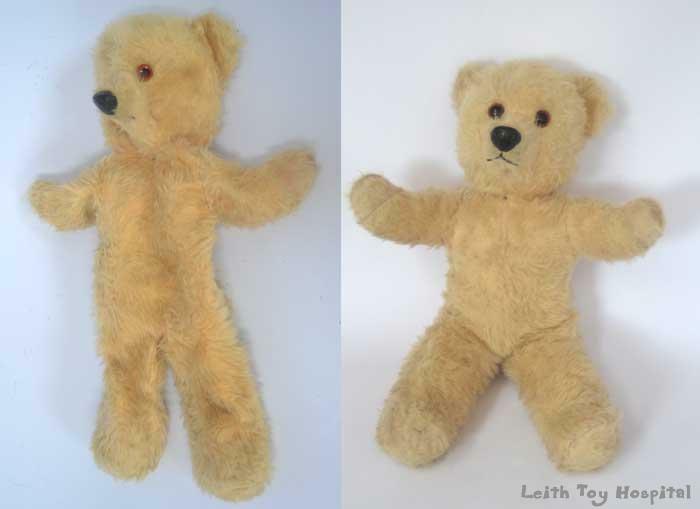 This teddy got new paw pads and a nose job! 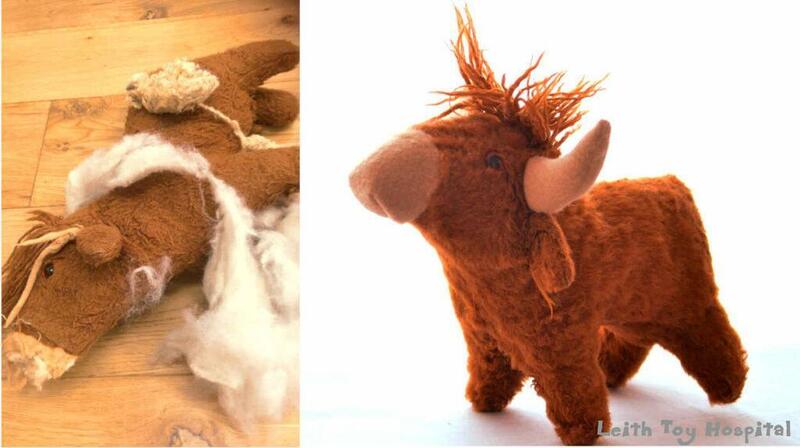 This cow urgently needed mending and restuffing! Wouldn’t it be great if real hospitals could do this? A dramatic reconstruction of a shredded dog! Fluffy is looking fabulous with her new fur and dress! 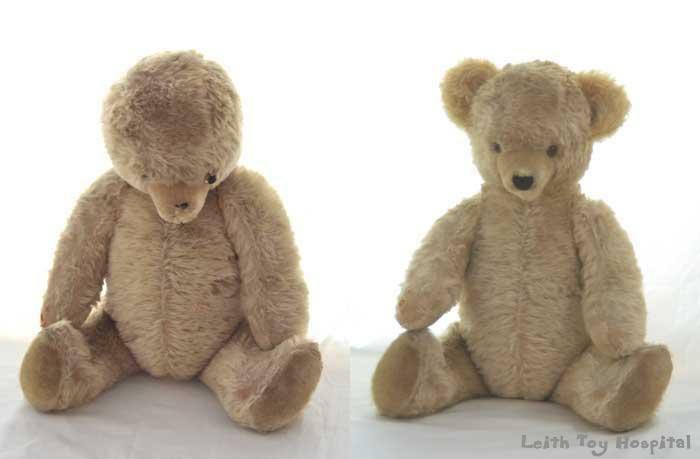 You won’t believe the colour this bear turned out after cleaning! 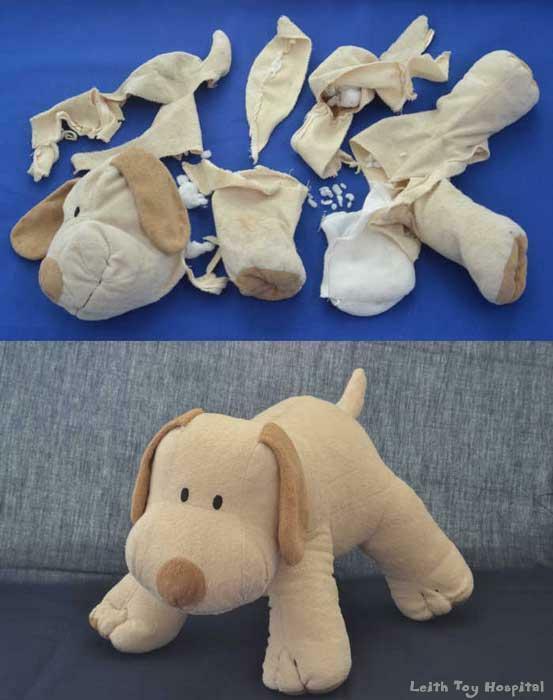 Before and after showing what a difference new stuffing can make! We’re working on bringing you more blog posts and behind the scenes stories, so watch this space! In the mean time, you can keep up to date with what we’re doing by following us on facebook and instagram. You can get your toy repairs fix almost every day! 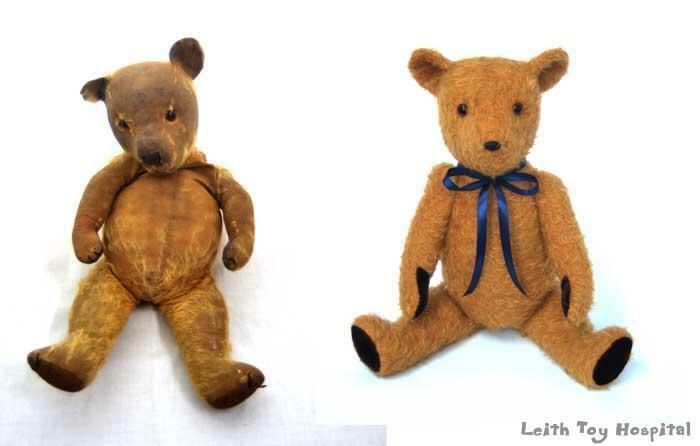 Get in touch to find out how we can help with your toy repairs!